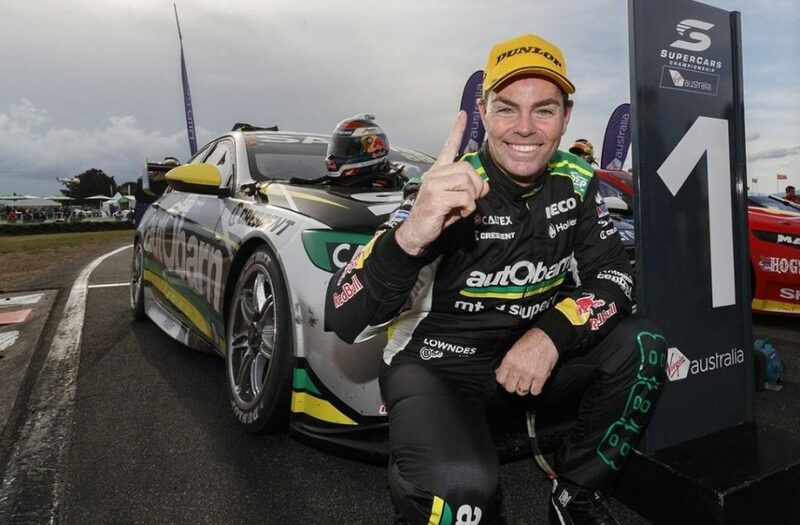 Craig Lowndes will quit full-time driving at the end of the 2018 Supercars Championship season. Lowndes is contracted to drive for Triple Eight Race Engineering until the end of 2019, however the team’s managing director Roland Dane has agreed with Lowndes’ decision to step back from full-time duties. Lowndes has achieved a win and three podium finishes so far in 2018 and currently sits fourth in the championship. “I’ve always said there are two key factors keeping me racing and those are my motivation to keep getting up and doing what I love, and my competitiveness, and for me, nothing has changed. But at the same time, I want to make sure I finish my last full-time season with some strong results in the bag,” said Lowndes. Lowndes will continue to be an integral part of Triple Eight for the foreseeable future by taking on the role of team ambassador, as well as co-driving one of the Triple Eight Commodores in the endurance events. Lowndes also hopes to race overseas and in different categories. “Le Mans is definitely on the bucket list and hopefully this will enable me to go and do that, which Roland and the team will be supportive of,” he said. Lowndes has broken records and hit milestones in his 21 seasons as a full-time Australian Touring Car/Supercars Championship driver. The 44-year-old has amassed three championship wins, six Bathurst 1000 crowns and 106 race wins.